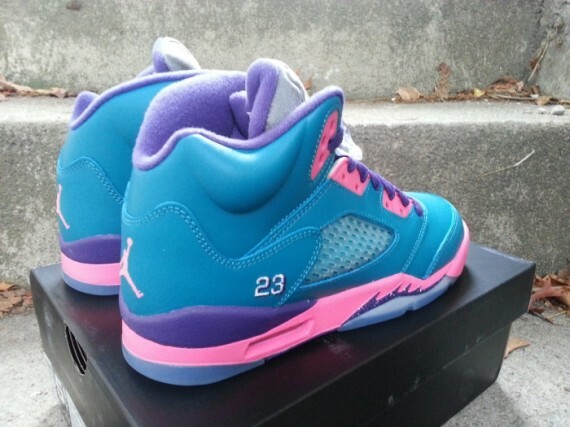 An interesting combination of vibrant tones takes over this latest Air Jordan 5 Retro for the ladies. 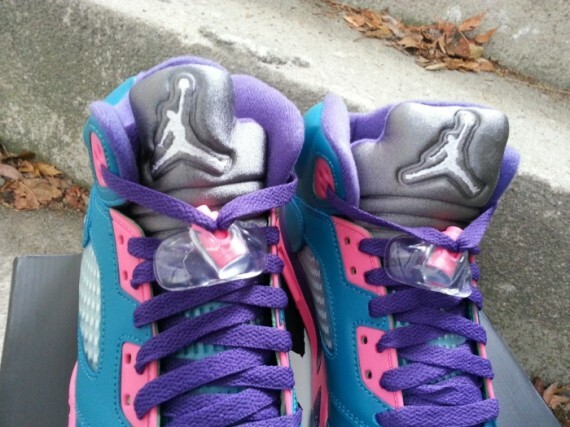 Energized for the ladies, we see tropical teal taking over the Air Jordan V's entire smooth leather build. Club pink takes care of the eyelets and midsole, while purple comes in over the laces, collar lining and parts of the midsole as well. 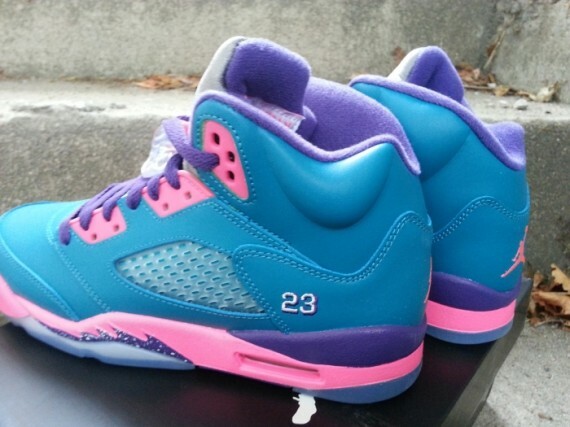 The Tropical Teal/Club Pink-Purple Air Jordan 5 Retro GS is expected to hit Jordan Brand accounts soon.